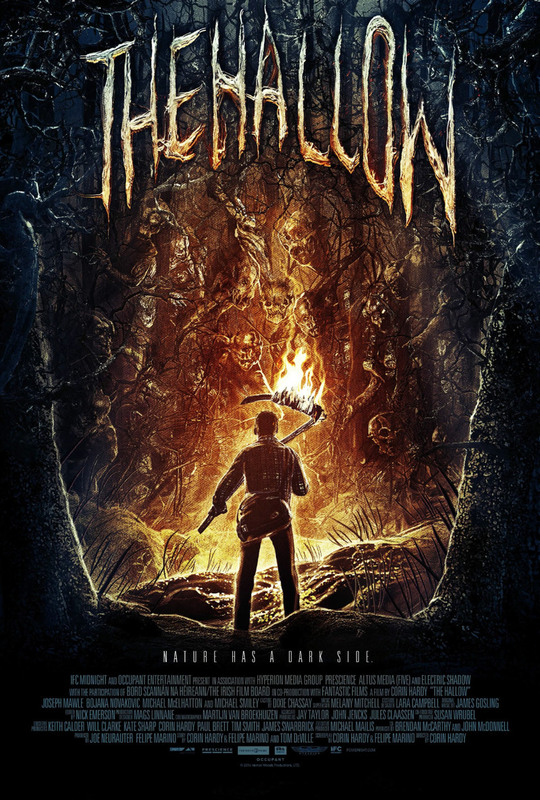 The Hallow DVD and Blu-ray release date was set for April 5, 2016. Tired of living in London, a man relocates his young family to a remote Irish home. He focuses on his work of evaluating the forest that surrounds his home, raising the ire of the local population, which warn him that the hallow - their term for the forest - is home to creatures of the night, and that trespassing on the hallow will invite the hallow to trespass on him. Disbelieving of old fairytales, he does not heed the warning. He and his family soon learn that this fairytale is a nightmare, and they struggle to survive the demons of the hallow.